Fresno State to head to L.V. Bowl for the first time since 2013. - Fresno State boasts a tie for the fifth-best record against the spread in the country at 9-4 ATS on the year. The Bulldogs, who boast one of the best defenses in the country, have hit the under in four of their 13 games on the year. - Arizona State has a competitive 7-5 ATS record. The Sun Devils have a dead-even 6-6 split in hitting over and under this season. - Arizona State and Fresno State have met just three times overall with the Sun Devils winning all three meetings. However, all three those meetings came between 1931 and 1941. All Las Vegas Bowl prop bets and odds are available here via FanDuel Sportsbook. 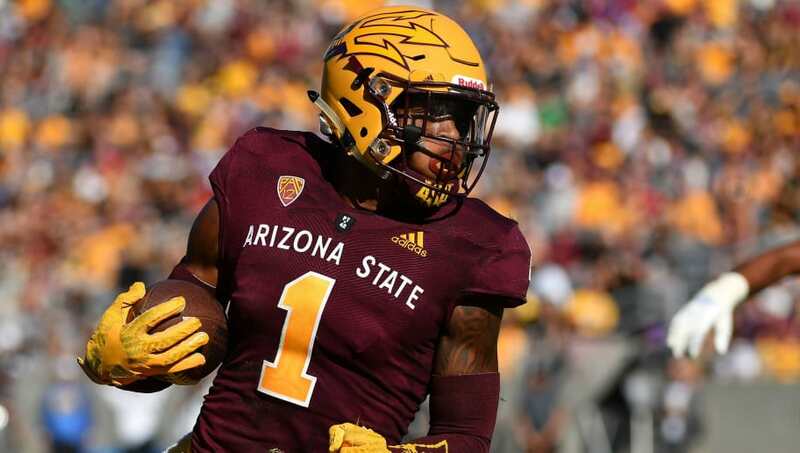 - Away Team (Arizona State) Total: Under 23.5 Points (-110) – The Sun Devils' offense knows how to score the rock, averaging 30.8 points per game on the season. But the Fresno State defense is for real. The Bulldogs are allowing fewer PPG (13.8) than both No. 1 Alabama and No. 2 Clemson's highly-touted defenses this year. - Home Team (Fresno State) Total: Under 28 Points (-110) – Fresno State certainly leans heavily on its defense to get the job done, but its offense has been dragging late this season. Despite averaging better than 30 PPG on the season, the Bulldogs have averaged just 22.5 PPG in their last four games.